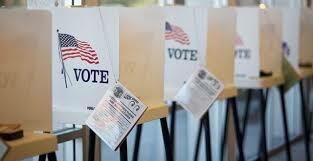 Election Fraud in America: Are Republicans and Democrats Benefiting from False “Free and Fair” Elections? This article which is of utmost relevance to US Elections 2016 was first published in April 2014. Many commentators – including both liberal and conservative Supreme Court justices such as Sandra Day O’Connor – believe that the Supreme Court wrongfully threw the election to Bush. Many have called it the “worst Supreme Court decision in history”. But the elephant in the room which most Democrats refuse to consider is election fraud. This is odd, given that there is substantial evidence that election fraud has been widespread in the U.S. in recent years. Why won’t they admit that election fraud is widespread? There is little doubt key Democrats know that votes in 2004 and earlier elections were stolen. The fact that few in Congress are complaining about fraud is an indication of the totality to which both parties accept the status quo of a money based elections system. Neither party wants to further undermine public confidence in the American “democratic” process (over 80 millions eligible voters refused to vote in 2004)…. Future elections in the US will continue as an equal opportunity for both parties to maintain a national democratic charade in which money counts more than truth. A more cynical view: the Democratic “leadership” may simply hope to be able to outspend the Republicans in the election fraud arm’s race.